A 22-year-old's charges that he shot a Good Samaritan multiple times, took his car and then crashed it are pending before a grand jury after a preliminary hearing earlier this week in Hamilton County General Sessions Court. 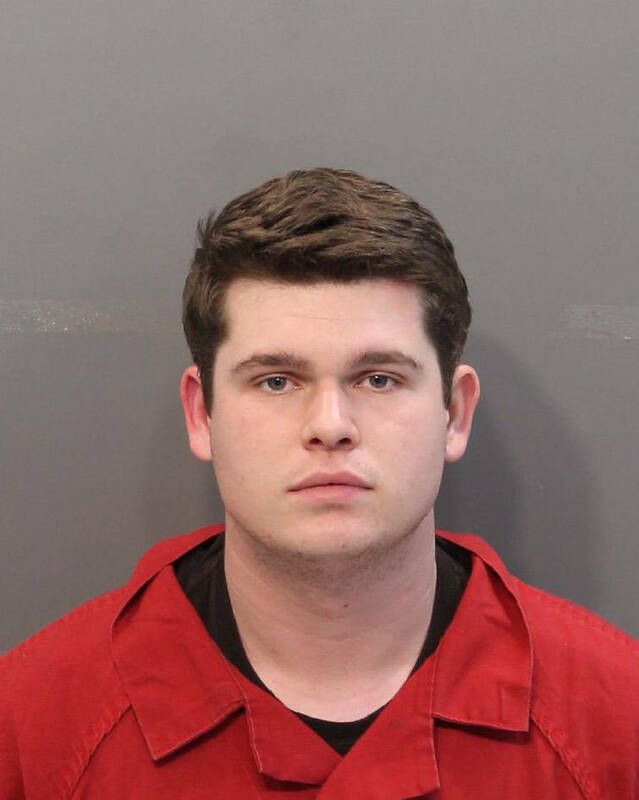 Judge Gary Starnes found there was probable cause for Conner Bell's attempted first-degree murder and aggravated assault charges after hearing the state's proof during a roughly 30-minute preliminary hearing Tuesday. Chattanooga resident Jeffrie Chambers testified for the state that he was driving around East 5th Street near Ivy and Kilmer streets on Jan. 8 when Bell flagged him down and asked for a "boost" on his vehicle. The battery had died, and Chambers, who had just dropped off his children at their mother's nearby house, said he agreed to help and pulled his truck into Bell's driveway. Chambers said he and Bell made small talk about alternators and batteries and the fenceline around Bell and his wife's home. Neither man had met before, but Chambers said he gave Bell his number, in case he needed help with future mechanical work. As he finished the work, though, and went to close the hood of the car, Chambers said, Bell shot him twice in the arm with a gun. "I was like, 'Come on man, what are you doing this for? I have kids,'" Chambers said he recalled saying. Chambers said he grabbed for the gun. That resulted in him being shot two more times in the hand, he said. After that, Chambers said, he ran down the street and Bell shot him once more in the back of the head. According to the testimony, Bell then jumped into Chambers' truck, sped around the surrounding neighborhood before returning to the scene and then crashed into his wife's vehicle. Bell's wife was struck and nearly lost her leg, and the truck was damaged, prosecutors said. Bell's charges only stem from Chambers, since his wife hired an attorney and declined to give a statement to police. The investigation involving her remains ongoing. Chambers, meanwhile, needed two surgeries as a result of the incident and has at least one more scheduled. Bell's defense attorney, Bryan Hoss, asked Chambers for a step-by-step recollection of the January incident. He asked Chambers if he and Bell were in any kind of scuffle, and Chambers said no. Hoss also questioned Chattanooga police investigator Corey Stokes, who went to the scene and interviewed Bell twice. The first time, on the scene, Stokes said, Bell said he carries around a gun because he believed he lived in a bad neighborhood. Bell also said that he didn't take Chambers' vehicle, Stokes testified. The second time he spoke with police, Bell had hired Hoss, Stokes said. This time, he admitted to taking the truck, driving around the block and then returning because he wanted to make things right, Stokes said. Bell mentioned blacking out around the time of the crash. Hoss emphasized that Bell never intended to attack, assault or challenge Chambers when he grabbed his gun from his vehicle. He said his client said that Chambers saw the gun and "attempted to close" the roughly 4-foot gap between them. A fight took place, they went to the ground and Chambers got shot, Hoss said. Prosecutors tried to counter that by asking investigator Stokes if he saw any dirt or stains on Bell's clothing on scene that indicated a scuffle on the ground. Stokes said he honestly could not recall. Neither side made further arguments to Starnes, but prosecutors added that "different charges" could come out of the grand jury than what Bell now faces. Bell faced a $60,000 bond between both charges, records show. He posted bail on Jan. 9 and remains out of custody.